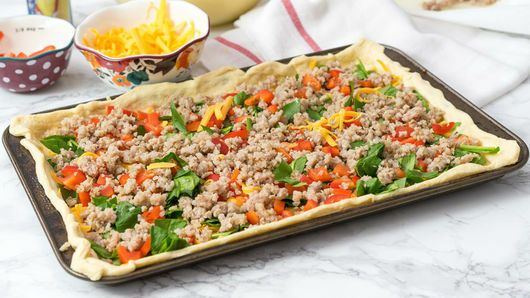 Lightly spray 13x10-inch rimmed baking sheet with cooking spray. 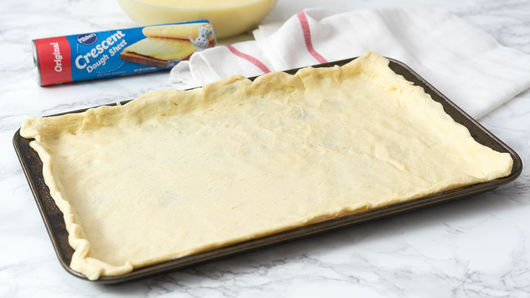 Press 1 can (11 oz) Pillsbury™ Refrigerated Crescent Dinner Rolls evenly in bottom and up sides of baking sheet. 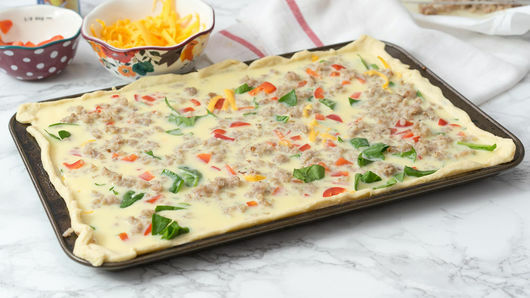 Sprinkle 1 cup crumbled browned cooked pork sausage, 1 red bell pepper, diced, 1 cup baby spinach, roughly torn and 1 cup shredded Cheddar cheese (8 oz) over dough; set aside. 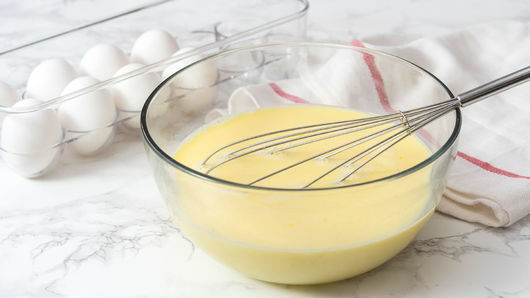 In medium bowl, beat 7 eggs and 1 3/4 cups milk with whisk until smooth; season with salt and pepper to taste. Pour egg mixture over sausage and spinach mixture. Bake 25 to 30 minutes or until center is set. Cut into squares, and serve. Try using your favorite omelette toppings in place of the ones listed, such as sliced mushrooms, onions, bacon, etc. 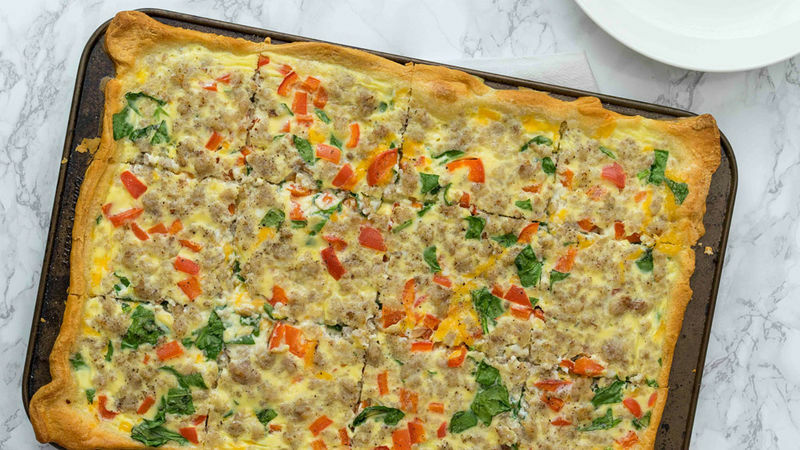 Serve a slice of this quiche on top of a toasted bagel for a quick breakfast on the go!